Homemade is best so why not take a little time to create your new favorite drink mix from scratch! 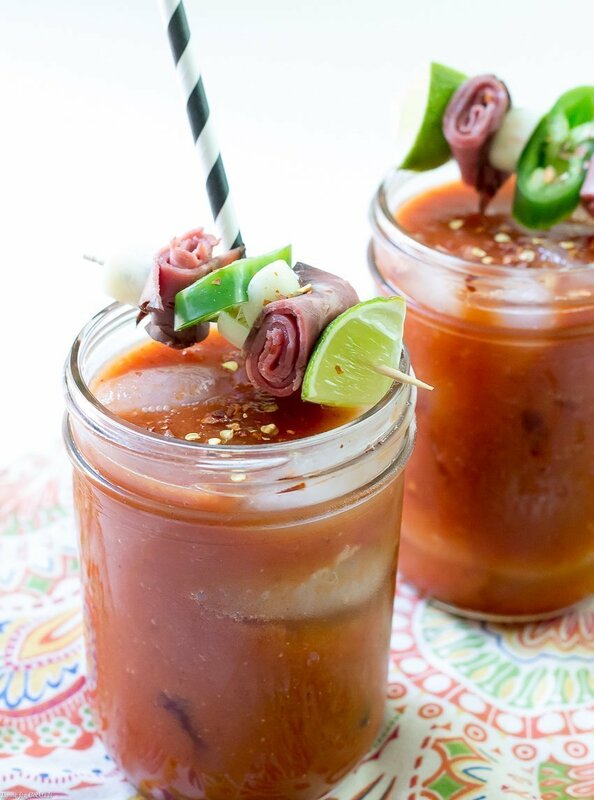 This Green Chile Bloody Maria Cocktail mix is a rich concoction that pairs beautifully with a nice top-shelf tequila. If you want to get real wild and crazy try roasting tomatoes along with onions, fresh green chiles, and garlic before blending. If you can get your hands on fresh Hatch chiles please use them to make this recipe ASAP! Now I do understand that roasting veggies can take some time. This recipe is great when you make it ahead of time so the flavors blend together. But if you want to whip up this Green Chile Bloody Maria Cocktail mix in a hurry just skip that step. You won’t have quite the same smoky flavors, but the end result has a real freshness. You can also tweak it with Mexican spices such as cumin or coriander. 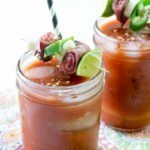 If brunch is your thing, then just jump over to the SoFabFood site for the full cocktail recipe along with a few helpful tips! 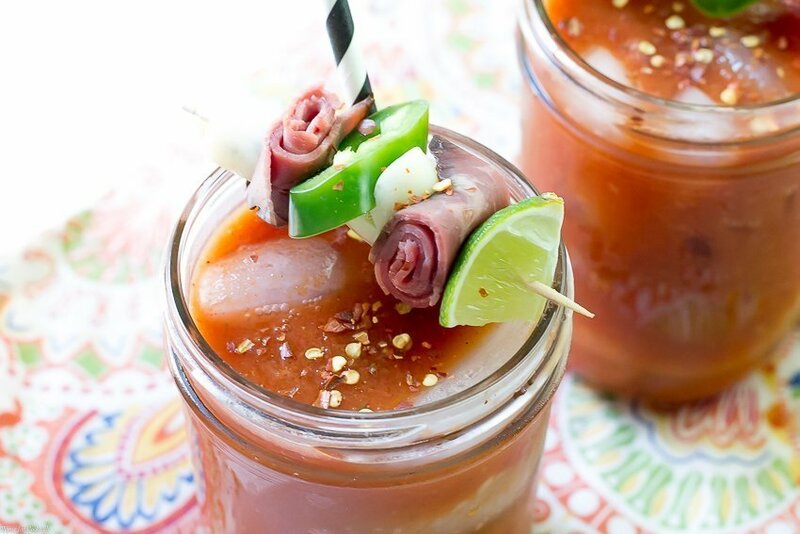 I hope you like this Green Chile Bloody Maria Cocktail recipe as much as my crew does. If you love this regional-inspired cocktail recipe, you can find more like it by checking out my other drink recipes on SoFabFood! For recipe inspiration delivered to your inbox, subscribe to my newsletter, follow my photography journey on Instagram, and for generally inappropriate humor follow like me on Facebook! To roast chiles in the oven- Preheat oven to 450°F. Place chiles on a large baking tray. Drizzle lightly with oil, toss to coat. Roast 20-25 minutes until slightly charred an soft. To roast chile on the grill- Heat gas or charcoal grill to medium high heat. Place chiles in a large bowl. Drizzle with oil, toss to coat. Place chiles on grill. Sear 4-5 minutes on each side. Turn chiles to char on all sides. To roast chiles over an open fire- Carefully use tongs to hold chiles over open flame. Rotate to char all sides. Repeat with all chiles. Place roasted chiles in a large bowl while still hot. Cover bowl tightly with plastic wrap. Let rest 10-15 minutes. Remove from bowl. Cut stems off chiles and remove seeds. Use your hands or a spoon to remove skins from chiles. Discard skins. Chop chiles to desired size or leave whole. Store in an air tight container in the refrigerator for up to 2 weeks.